Welcome to Webster Woods Townhomes, which offers elegant and efficient apartments in Webster, New York. Featuring spacious two and three-bedroom townhomes for rent, Webster Woods Townhomes features the modern conveniences and amenities our residents crave. Located merely twelve miles from Rochester, New York, our townhomes provide a peaceful lifestyle without sacrificing close proximity to the third largest city in the state. Our homes boast many amenities including covered front porches, all-electric kitchen appliances, and in-unit washer and dryers. Shared comforts include a sparkling swimming pool, fully-equipped fitness center, 24-hour emergency maintenance, and proximity to several community essentials such as the Expressway, the Webster School District, and Lake Ontario. Find your new home at Webster Woods Townhomes! Our townhome community at Webster Woods Townhomes offers the serene, suburban living experience you crave combined with ease of travel to many local shops, schools, community centers, and more. Here, we boast a lovely, family-friendly atmosphere, which provides an ideal place to relax away from the hustle and bustle of everyday life. For night and weekend fun, we’re just a short drive from Rochester, New York, where you will find endless entertainment options for the whole family to enjoy as well as excellent accommodations for a night out on the town. 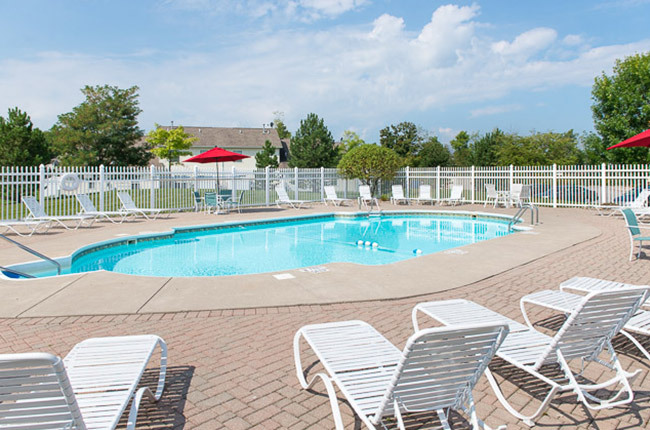 At Webster Woods Townhomes, we are proud to provide all the amenities you need as well as close proximity to the conveniences you desire in Rochester’s fastest-growing suburb.